Contributed Photo: Brooke Pancake of the University of Alabama. 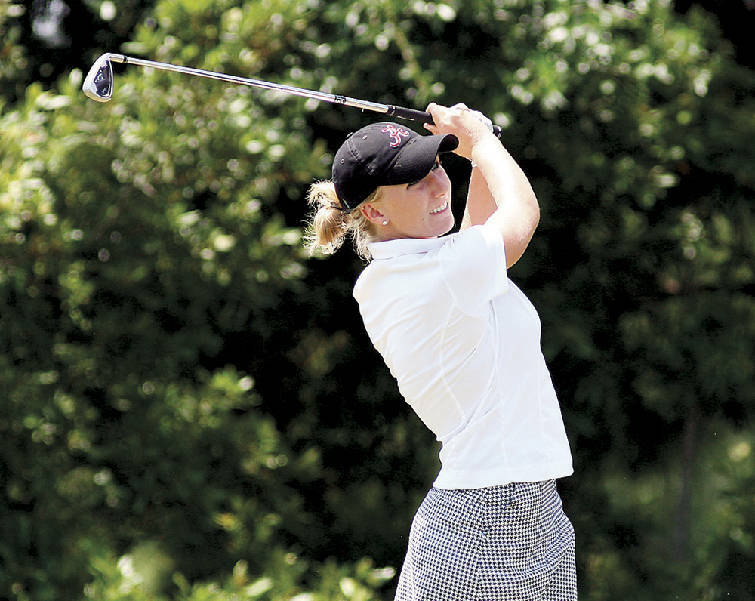 Chattanooga's Brooke Pancake became a big part of Alabama women's golf history when she helped the Crimson Tide finish third at the NCAA championships last week. The four-time state high school champion from Baylor will be part of a 99-year golf history when she plays in the Women's Southern Amateur starting Monday at Lookout Mountain Golf Club. "It's a special tournament," said Pancake, who reached the semifinals last year at Stonebridge Country Club in Albany, Ga. "Just being a part of the field, you're playing against other great college players, other young players, as well as other women with experience. It's nice to see your future and play against women who really appreciate the game." The Women's Southern Amateur will include 96 players from across the country -- from Oregon to Florida -- and more than 80 of them carry USGA handicaps of 10.0 or better. The tournament begins with 18 holes of stroke play Monday to determine flights and continues with four days of match play, including a 36-hole final match in the championship flight. Alexis Thompson -- who played in the Women's U.S. Open as a 12-year-old and will turn pro at the age of 15 next month -- will not defend her 2009 title. She has one more amateur tournament, the Curtis Cup. "The last three to four years, we've been blessed with a very strong field of juniors and college students and young Mid-Ams," said Women's Southern Golf Association president Pat McKamey, who resides in Oklahoma. "When I started with the WSGA in 2002, we were lucky to get a couple of golfers with plus-handicaps. This year, we have about 16 with plus-handicaps and almost 30 with a handicap of less than 1. "I think we'll see some good matches, and I think anybody with previous knowledge of the course will have an advantage over us flatlanders who are not used to mountaintop golf." The Chattanooga-area contingent includes Pancake, UTC incoming freshman Jordan Britt, Soddy-Daisy rising senior Haley Cothran, incoming Mercer freshman Mary Alice Murphy, veteran Georgia McCravey and Lisa Sellers of Dalton. "I think it's going to be a great venue, and I can't wait," Murphy said. "This is my first Southern Am and I'm really excited about it." The tournament was first held in 1911 at East Lake Country Club, where WSGA records show Mrs. Roger Smith of Nashville beating Mrs. George Harrington of Atlanta. It was held in 1916, '24, '53, '65 and '96 at Chattanooga Golf and Country Club. "Chattanooga has always been very supportive of the Women's Southern Golf Association," said Lookout Mountain legend Betty Probasco, a former WSGA executive. "It's exciting to have the Amateur here at Lookout Mountain. "It's a real special event because I met my husband (Scotty Probasco) at the event in 1953 at Chattanooga Golf and Country Club." Probasco won the 1955 tournament at Shreveport Country Club in Louisiana. She finished runner-up twice, most recently in 1971. "When I happened to win, I got a very nice congratulatory letter from Mr. Bobby Jones," said Probasco, who will be an honorary nonparticipant next week. "He must have seen the results somewhere. "That's the highlight of my career. I'll never really get over that. It was such an unbelievable surprise." Probasco said her letter from Jones is part of a historical collection at Golf House Tennessee in Franklin. The Women's Southern Amateur itself is a collection of history.